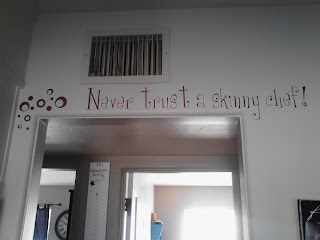 Laurie's Vinyl: Never Trust a Skinny Chef! Never trust a skinny chef! Add a little whimsy by adding some fun circles to your vinyl display. Circles are only 10 cents each, in a variety of colors and sizes!